A Yelp business account has significant name recognition because they have been around so long, and used so frequently. Everyone knows it’s a place to write and read reviews. It hosts a hefty online collection (160+ million) of reviews written by the general public. Just over half of those reviews are in the shopping, restaurant, and home services industries. Yelp is a place to be discovered. On the Yelp site, 96% of searches are unbranded, meaning people are searching within a general category like “pizza” or “plumber.” The search results page is a list of businesses that match the search terms, along with their contact info, average star rating, and total number of reviews on Yelp. 5starRocket’s review management tool will put you in complete control of your online reputation. Get the reviews you know you deserve today. It is possible that your business is listed on Yelp without your knowledge. Search for your business by name on the Yelp for Business Owners website and see if it comes up in the search results. If it does, you will be prompted to create a business account for that listing. Verification will be by telephone. Claiming your Yelp business account is free, and allows you to update business information, add photos/sections to the listing, and respond to messages and reviews. After you claim your listing, a blue checkmark and “Claimed” will appear next to your business name on your business landing page. 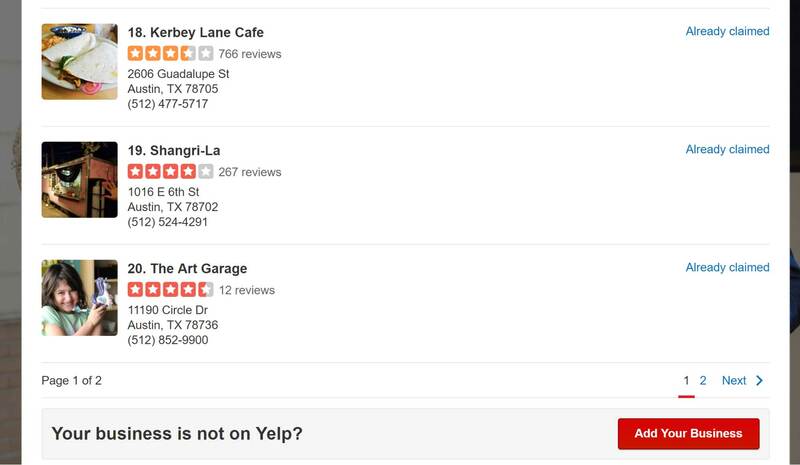 If your business is not listed on Yelp, the search for your business will display a list of potential matches. Scroll down to the bottom of the list, where you will see a red Add Your Business button. Click that button to register your business and business account and start the verification process. 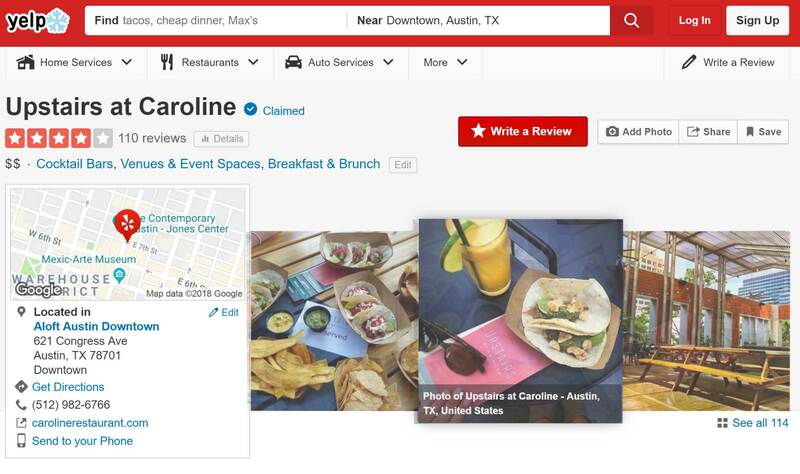 To leave a review, reviewers can type in the name of your business on the Yelp homepage. When they click your business name, they will go to your business profile, where they can click the red Write a Review button. This will prompt them to write the review, and then log in either with their Yelp business account, or via Facebook or Google. Final Thoughts: People often turn to Yelp to discover new restaurants, stores, and home service businesses. The reviews and ratings they see associated with your business significantly impact their first impression and can be the difference between a click and a scroll-by. Increase your positive reviews and get ahead of any complaints BEFORE they are posted with 5starRocket’s online review management.